From the Rockettes to the Dance Theatre of Harlem to the bright lights of Broadway, Lisa’s career is full of wonderful highlights—some of which she shares below. What does it take to be in “The Lion King?” Lisa was most recently featured by Dance.com where she shared an exclusive behind-the-scenes sneak-peek into her long-standing role in Disney’s blockbuster hit “The Lion King.” Lisa has performed as the Cheetah, a lioness, a wildebeest, and tons more roles since 2004. Lisa’s rehearsal wear is unapologetically daring. Read this feature on Lisa and her style by Dance Magazine. 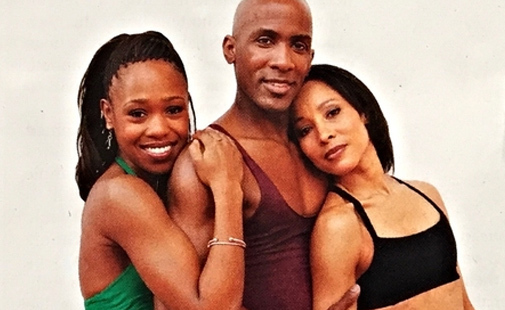 Lisa and her Lion King cast mates share the off-stage fitness routines that keep them Broadway ready. ESPN Sport Science examines the brain waves of performers Lisa Lewis (Cheetah) and Cameron Pow (Zazu) from THE LION KING on Broadway. Lisa shares her yoga moves with the notable Lululemon brand. Learn about Lisa as a member of the world-famous Radio City Rockettes cast. ESPN Sport Science examines the biomechanics of performers Lamar Baylor, Bravita Threatt, and Ray Mercer from THE LION KING on Broadway. It's the "Circle of Life" in 360°and it moves us all! Use your phone or "click and drag" to experience every angle, from backstage to the top of Pride Rock. For viewing on desktop, watch in the latest Chrome browser and use your mouse to click and drag to navigate your view.